The peony gardens and commercial fields in Van Wert County gave birth to the first Peony Festival in 1932. 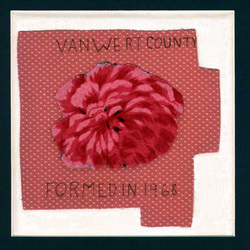 By 1959, the festivities had grown to where the 103rd General Assembly of Ohio passed a resolution declaring Van Wert County the “Peony Center of the World.” After declining interest from 1961 to 1991, the festival re-vitalized in 1992 and is now held annually. The huge peony gardens and commercial sales have disappeared, but the parade, crowning of the queen, the concert in the park, and other activities are done in the spirit of the original event. The Van Wert RTA meets four times a year at the Willow Bend County Club. VWRTA programs include speakers for ORTA and STRS as well as local entertainment from area high schools. We stress volunteering in our community to give back to the public that supported us in our careers. In retirement, our time is now ours to give. Join us.